These things can be bought at your local arts & craft store. Below you’ll see a frame I purchased from Michaels. I also picked out two sheets of scrap-book paper because my bathroom is teal, white and black. The teal scrap-book paper alone was not enough. 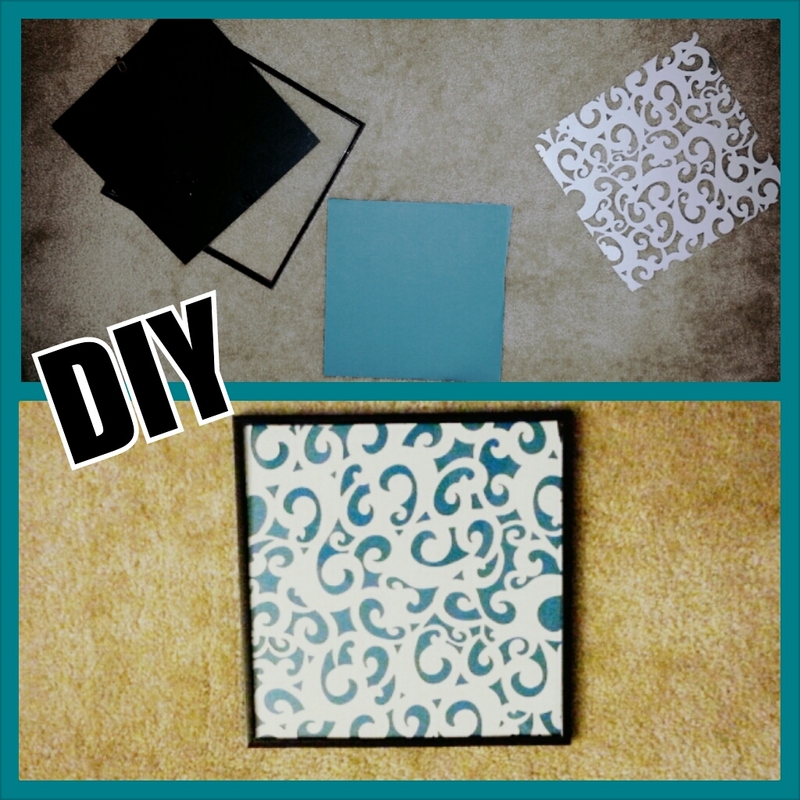 So, I got creative and placed the white printed scrap-book paper over the teal paper to create this look. You can manipulate the scrap paper, and layer it to create the look you want. It’s all up to you; take charge! Posted on Thu.Sep.26.2013, in Life Lessons and tagged DIY, DIY Framed Pictures, DIY Michaels, DIY Picture Frame, DIY Pictures, DIY Wall Art, Do It Yourself, frames, Frames and Scrap Book Paper, home, Michaels, scrap book, Scrap Book Paper, Wall Art. Bookmark the permalink. 4 Comments. When I looked at some of the wall art for sale in department stores, I decided to do some of my own. It’s so easy! Plus, I found that I do have artistic abilities! Yes, everyone is artistic in their own special way. I’m happy that you were able to figure out an alternative. Today I was in the dentist’s office and I saw simple photos of city landmarks in black and white and some in color on what looked like canvas…I thought to myself, I can take the photos and have them imprinted on canvas or simply matted and framed. I decided that I need not buy what I see in the store. Absolutely! If you can do it yourself, why not? Plus, you’ll save money doing so!